Familiarize ourselves with the complete site from St. Saviours Dock (near Butlers Wharf) via Cherry Garden Pier to the Mayflower Inn at Rotherhithe. 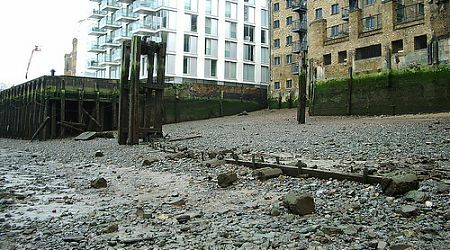 Complete archaeological recording of the grid irons, ship’s timbers, rudders, causeways and quayside below Chambers Wharf and the prehistoric peat. 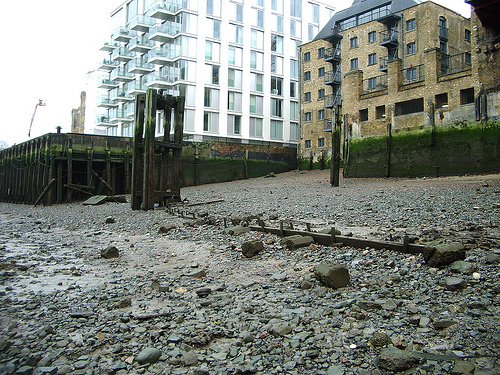 ‘crossing the river’, ‘the architecture of the river’, hulk surveys, anchor surveys and recording ship’s timbers. Historic buildings, churches, palaces, dwellings, old and new, warehouses, the working river, use of the river for leisure, local riverside public houses, boat builders and boat breakers yards. All could be recorded photographically – we had at least four photographers in the workshop group, Jeremy, Courtney, Lesley and myself, and I am sure there may be more out there! We could aim to put together a sight-and-sound powerpoint presentation, putting music to the images, or recording the everyday sounds of the river e.g. motor boat engines, lapping water, waves, bird song, riverside runners and cyclists and archaeologists scraping and sluicing… and any sounds we might come across while we are there! On the social history and oral history front, perhaps we could interview elders from the local communities or retired boatmen, to find out what life was like during the past century. Perhaps we could research old photographs from libraries and museums… Or perhaps we could be even more creative and find or create lyrical prose or poetry, drawings and paintings… using whatever talents you have, to come up with ideas! 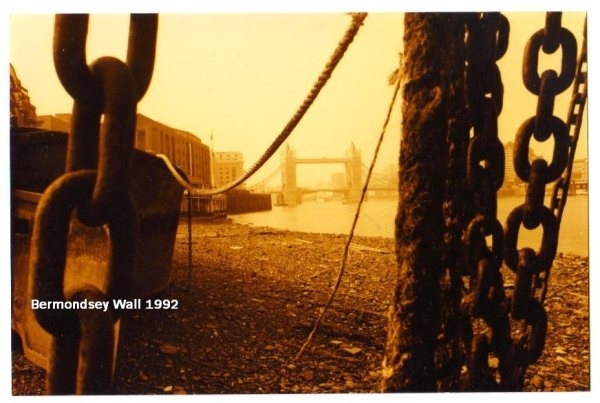 If you are interested in joining in wih the Bermondsey Foreshore Recording and Observation Group, please contact us.